K1™ Race Gear was born in 2003 with the philosophy of offering products to customers that they themselves would be proud to use. At K1™ Race Gear, they are racers themselves, and understand the value of buying quality racing products at a reasonable price. To meet the needs of customers, K1™ Race Gear strives to provide quality racing equipment, including racing shoes, suits, driving gloves, helmets, and more, to racers of all ages at a great value. 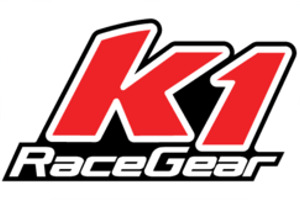 Racecar Engineering™ is proud to distribute and support the entire K1™ Race Gear product line. Shop here online now for the most popular parts from K1™ Race Gear. Always remember, if you don't find what you need on here our website, we'll gladly special order the item for you directly from the factory. Please contact our Technical Sales staff for complete information.